Coming soon for Autumn 2019 in Mallow. From €225.00* / €168.00 for Social Welfare/OAP recipients. The purpose of this award is to equip the learner with the knowledge, skill and competence to prevent and control infection within the health services area. Coming soon for Autumn 2019 in Mallow. Pre-register to sign up for future course notifications. 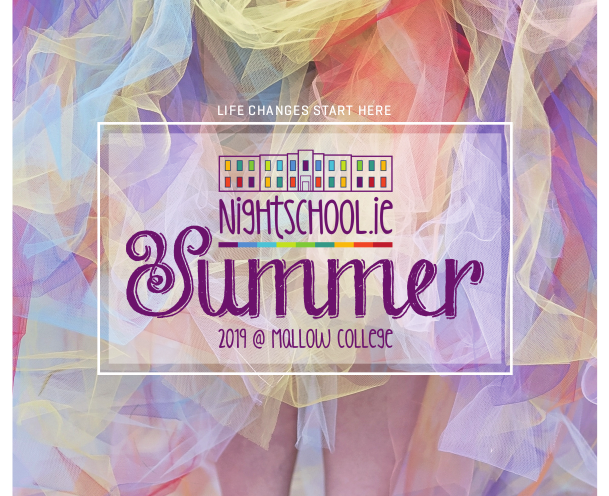 Location: NightSchool.ie at Mallow College of Further Education. Cost: €240.00, *€225.00 with online discount, €168.00 for Social Welfare and Old Age Pension recipients, €144.00 for Mallow College day students. Information Week, Monday September 9 to Wednesday September 11, 19:00 to 20:00 at Mallow College of Further Education. Get more information, meet tutors, and enrol on the night. Add Facebook Event reminder. Summarise the various types of microorganisms, the elements required for the growth, spread and subsequent infection process, to include direct and indirect contact, knowledge of the chain of infection and the need for vigilance and safe practice at all times. Analyse the predisposing factors to the development of healthcare-acquired infections to include contact precautions, respiratory precautions and enteric precautions. A pass Leaving Certificate or equivalent standard. Relevant work and life experience is equivalent for mature students (aged 23 and over). A QQI certification fee of €20 is already included in course fee. Join the NightSchool.ie mailing list. Applications for this course are currently closed. Pre-register here to be contacted when applications are open again for the next term.